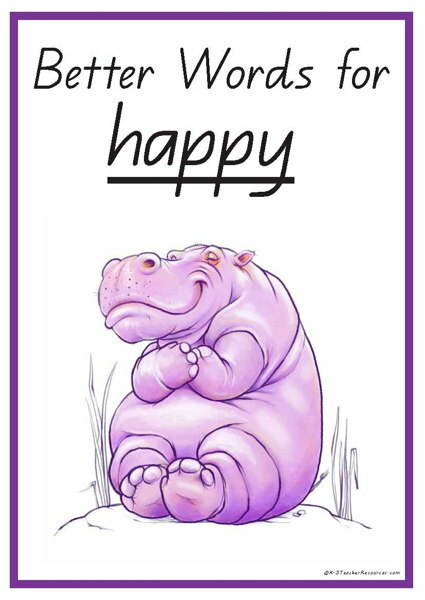 Printable parts of speech posters – 6 x A4 posters depicting Adjectives, Sentences, Text Types, Nouns, Verbs, adverbs, pronouns, conjunctions, prepositions plus 4 cute little frogs…. 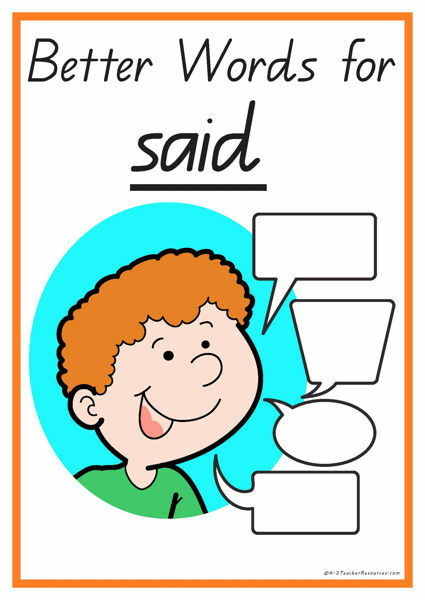 Parts of Speech Poem teaching the 8 parts of speech – Printable A4 page, large print pages, sentence and word reconstruction pages. 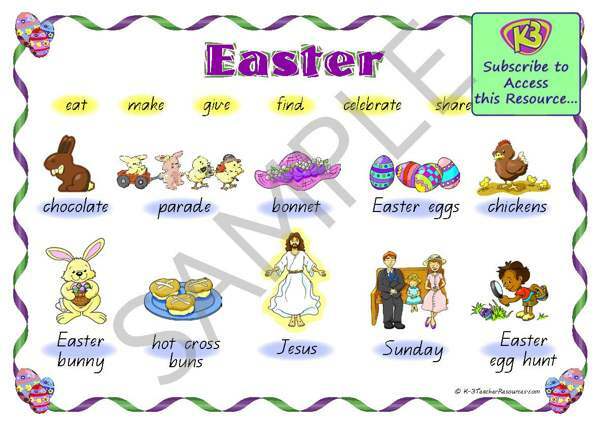 Easter vocabulary mat – verbs and nouns A4 printable mat. 7 verbs and 10 nouns in colour and black and white. 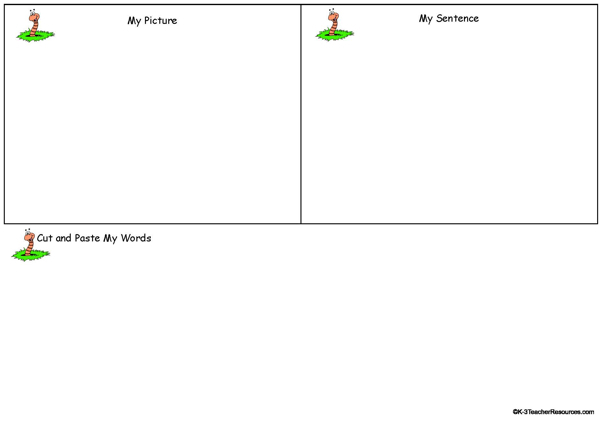 Family vocabulary mat – verbs and nouns A4 printable mat. 8 verbs and 10 nouns in colour and black and white. Includes add your own words. 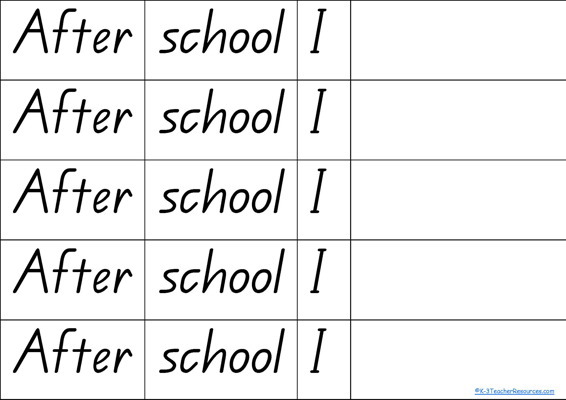 Printable 12 Days of Christmas Sequencing Pictures with room for writing – Use for modelled and whole class reading..
A4 Size Christmas Vocabulary Mat 12 nouns with pictures / 7 verbs Can be enlarged to A3 using printer. 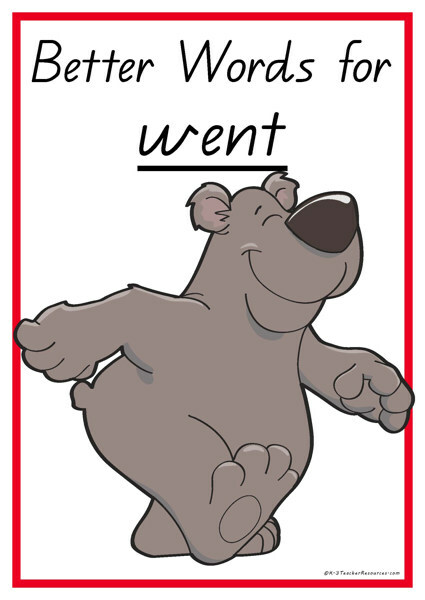 Words are taken from our Christmas Printables Print up a few for children to grab during writing sessions as reference Special Thanks to CHRISTA for this suggestion and stand by for more vocabulary mats. 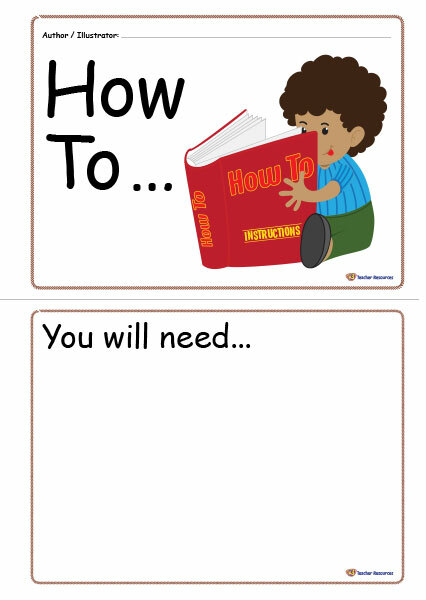 A printable concept book for children to write their own procedures and become authors and illustrators of their own little books. 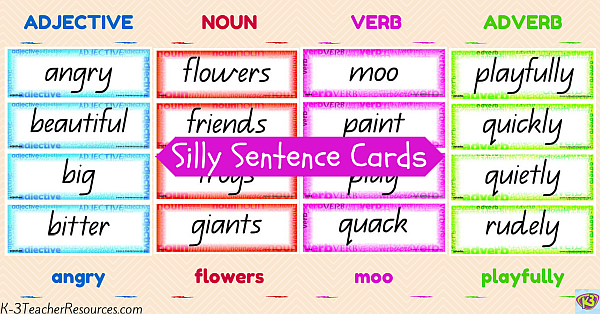 40 pairs of synonyms – 80 words all up – ready for matching games and more. 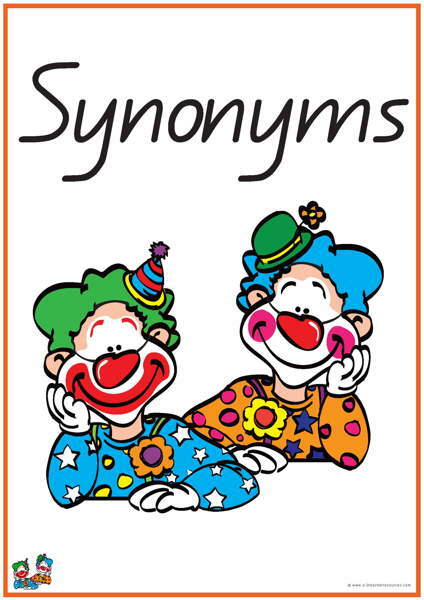 Add more synonyms pairs to the list – and more words of similar meaning for each synonym pair – there are lots more – keep these on the wall and add more as they come across in reading and writing. 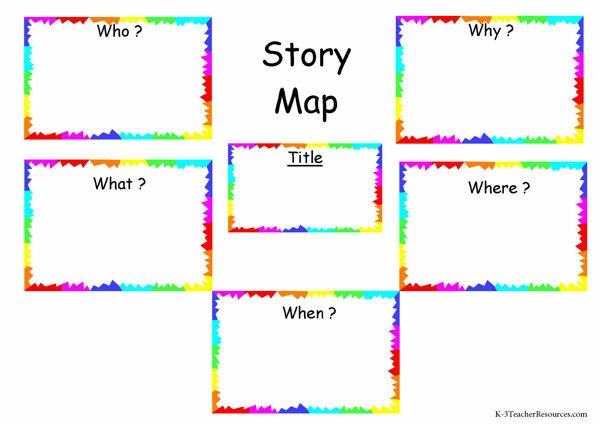 A simple story map to use when planning a piece of writing. 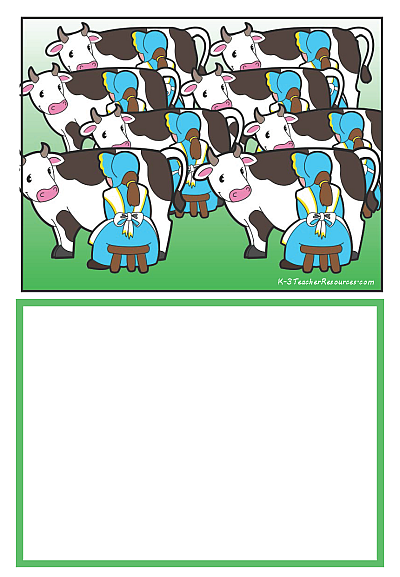 Story Sequencing Activities using Fairy Tale Pictures. 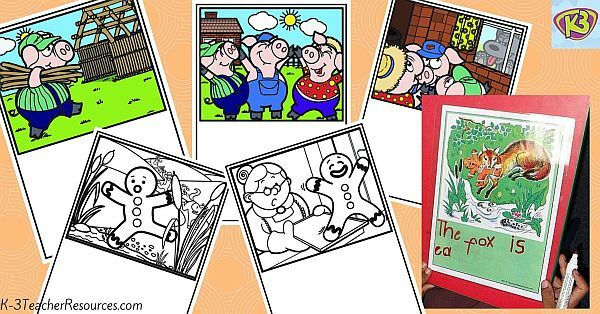 The Gingerbread Man and Three Little Pigs Illustrations for sequencing. 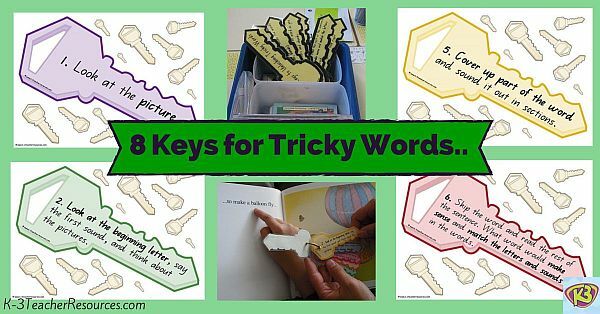 Teaching Reading Strategies, Reading Cues – Ideal for use with guided reading activities, home reading programs, and classroom wall display. 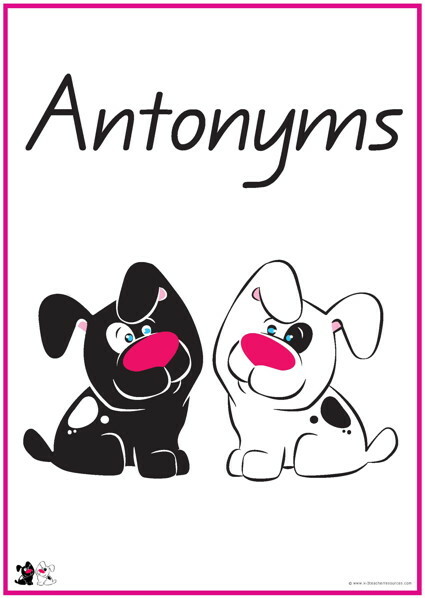 40 pairs of antonyms – 80 words all up – ready for matching games and more.